More than 83% of consumers watch on-demand video, an increase of 4% since April 2015, according to Limelight’s The State of Online Video. The percentage of consumers watching four or more hours of on-demand video a week increased to more than 36% as compared to 30% in April 2015. Among Millennials, the greatest jump is in those that watch 10 or more hours of video per week (nearly 20% vs. 15% in April 2015), perhaps a tell-tale sign they are binge-watching more often than their counterparts in different demographics. How are consumers watching on-demand video? A growing number are doing so on their TV, either through apps on smart TVs or connected devices such as Roku, Apple TV, Xbox One or Sony PS4. This creates a challenge for content providers – ensuring broadcast quality to many devices – as consumers will abandon an on-demand video if the quality is poor. Millennials are far more likely to subscribe to over-the-top (OTT) services. When asked how many online services such as Netflix and Hulu to which they currently subscribe, more than 40% of Millennials subscribe to at least one vs. 32% of older generations. In addition, 31% of Millennials subscribe to two or more OTT services as compared to 18% of older counterparts. Cord-cutting is increasingly driven by content availability. 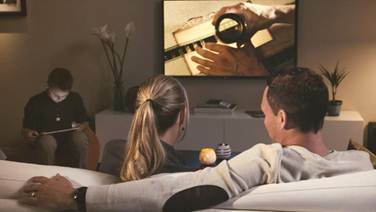 In its April 2015 survey, Limelight found most consumers would terminate their pay and cable TV services “because the price keeps going up.” The latest survey showed this is changing, with access to content—getting the content directly from content owners, live events more prevalent online, and content availability via antenna— becoming more of a factor than it was in the past. Millennial patience with video buffering may be waning. As compared to April 2015, Limelight found a 35% increase in the number of respondents who would abandon a video after only one buffering event, indicating an erosion of patience for video interruptions. Additional key findings revealed in the report include: Apps on smart TVs are the go-to source for viewing video on the television. Despite the rash of OTT devices on the market giving consumers more choices than ever for how they watch their online video content on their televisions, the smart TV still represents the device that most consumers use for watching OTT content. When it comes to OTT devices, Xbox is leading the market with Sony close behind. Based on survey responses, the Xbox is clearly leading the market for “multi-function OTT devices” at 28%, followed by Sony’s PS4 at 23% and Apple TV at 16%. The survey also included the new Amazon Fire TV Stick, which achieved 8% of market share, just slightly behind Roku at 11%. Fewer people are sharing video online, and Facebook’s lead is shrinking. As compared to April, people who said they do not share video online increased by 20%. For those who did share, those using Facebook, Twitter and Pinterest declined, while YouTube held steady. “The world of online video is anything but predictable,” said Jason Thibeault, senior director of marketing at Limelight. The State of the Online Video report is based on a survey that collected data from 1,271 consumers chosen at random located in the United States, United Kingdom, Canada and Australia, aged 18-69.